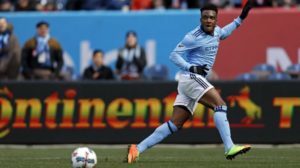 You are here: Home / NYCFC / Match Preview: NYCFC vs Montreal Impact; simplicity key to another NYCFC win? Match Preview: NYCFC vs Montreal Impact; simplicity key to another NYCFC win? NYCFC will be looking to make it two wins from two at home this season, when they host Montreal Impact; who are yet to register a win under their belt. 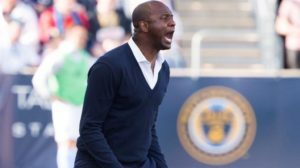 Patrick Vieira’s men are coming into the game on the back of a very impressive 4-0 win against DC United. Goals from Rodney Wallace, David Villa and Maximiliano Moralez were enough for NYCFC to see off DC, in their home opener. Aside from the four goals, NYCFC were impressive for the majority of the match, however there were 10-15 minutes that Vieira was unimpressed with. “We gave them a little too much space in the first 10-15 minutes and we didn’t respect the gas as much as we did in the first half”. Vieira was keen to point out the importance of ‘keeping it simple’ when winning, as opposed to “taking too many touches and giving teams a chance to get back into the game” – something we should certainly keep an eye out for in this upcoming game. As for the Impact and their coach Mauro Biello – Ignacio Piatti’s and Matteo Mancosu’s efforts were not enough for them to see off Seattle Sounders, who were able to come away with a point following the 2-2 result. “We have to fight to the end and avoid lapses in concentration”. “Right now, there are emotions, and we’re disappointed that we let Seattle back in the game”. As stated, the Impact are still yet to win this season, and that will surely make them a dangerous side on Saturday, as they pursue their first, three points. Prior to the DC United game, Villa was involved in the annual media day at the Grand Hyatt Hotel, accompanied by Andrea Pirlo and eventually, Vieira. When asked about the season, home opener against DC United, Villa stated that he and his teammates wanted to “give a present to our supporters on Sunday”, and that he did. However, with the standard now set, we would like to receive one or two more ‘presents’ from the Spaniard. A repeat performance against the Impact should be more than enough to see us take all three points, and I’d put good money on another man of the match display from El Guaje. Besides Villa, NYCFC will need a strong performance from Wallace yet again. Despite opening the scoring, the Costa Rican was also responsible for assisting one of Villa’s goals against DC and was a key part of NYCFC’s attack while he was on the pitch. Another similar display will give NYCFC a good chance of scoring many goals, and more importantly picking up all three points at home. For Montreal Impact, undoubtedly their most important player, and the one who will be key to any sort of result is Piatti. Unfortunately for him and Montreal, his goal and assist wasn’t enough to earn a win, however it was an absolute testament to his superb ability. You can count on him giving RJ Allen or Ethan White a tough time at right-back, as he will be looking to carry this Impact team. Mikey Lopez (ankle surgery) is the only casualty for NYCFC, and isn’t expected to return for another 2-3 months. Besides Andres Romero who remains doubtful (hamstring) to play for Montreal, everyone else is fit to play. More of the same for NYCFC, I’m predicting them to be unchanged besides RJ Allen replacing White at right-back, to add some defensive solidity to deal with Piatti. (4-3-3) Johnson; Allen, Chanot, Callens, Matarrita; Ring, Pirlo, Moralez; Harrison, Villa(c), Wallace. Montreal Impact have fielded the same 11 in their past two games, and I don’t expect this to chance either.